The Kings Take on the Lakers! 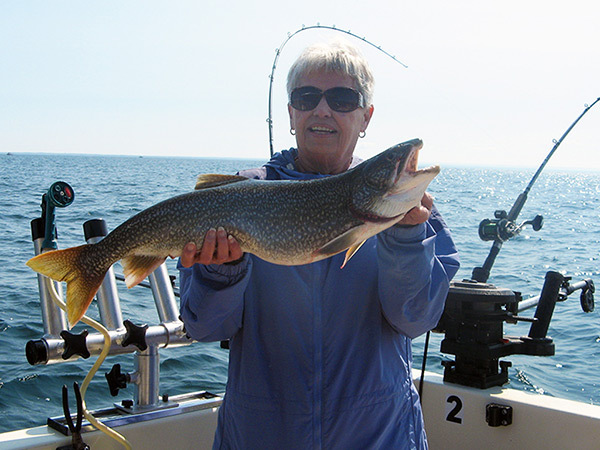 Sandra King, her son Brendon, along with her mother and father chartered the Milky Way on Friday, July 3rd to try their hand at fishing on Lake Ontario. 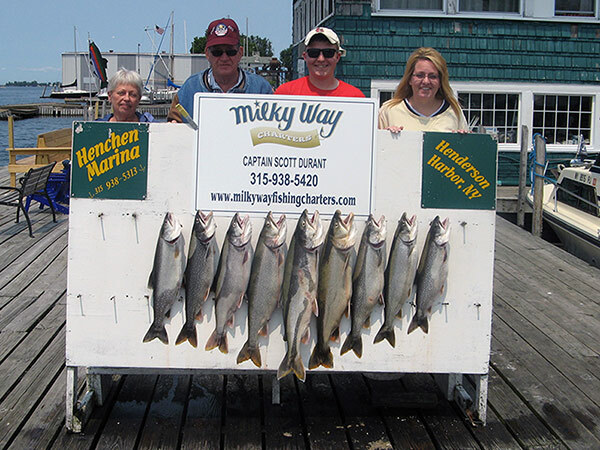 This King family handled the Lakers quite nicely as they got their limit of fish. Everyone got in the action including Sandra's parents from Missouri, Brenda and Bob as they enjoyed a beautiful day on the water. The fish cooperated, the weather was gorgeous and a good day of fishing was had by the 3 generations of fishermen/women! Also, a special thank you to Sandra's husband for his military service to our country. 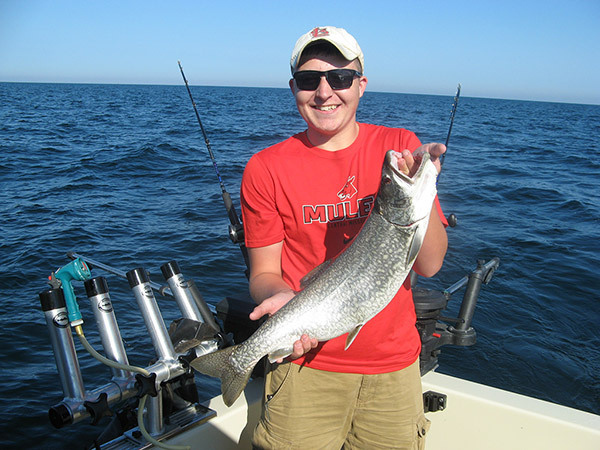 On Saturday, June 27th, Matt Zehr and his brothers went fishing on the Milky Way for Lake Trout. 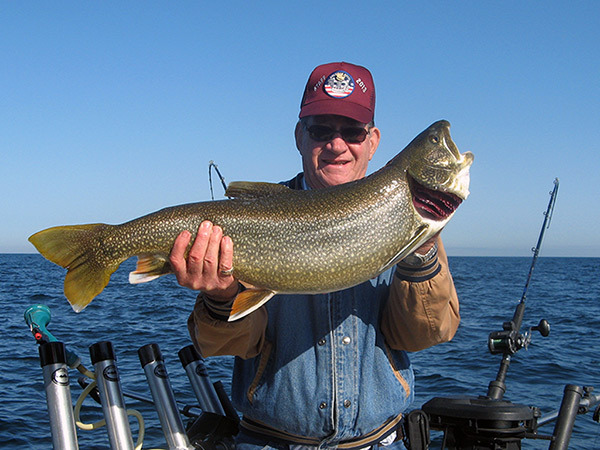 And Lake Trout they got. On opening day of bass season this year, the Titus Mast party chose to try for Walleye aboard the Milky Way.